We all know about the page rank. We all have used it and fought with it in order to improve it. And at last, page rank is dead and now the world of search engine optimization has changed completely. It was announced in 2013 that Google would no longer update the Toolbar Page Rank– the system for ranking the pages based on their value. It has been two years now, so what is really important today when it comes to search engine optimization measurement. Today trust flow is the metric which is used to determine the quality of the site based on its links and its links with other sites. Google has been emphasizing on quality content from day one and it certainly values a lot too. But today the greater emphasis is on high-quality linking which is more important in today’s modern internet and value based search system. So, what does it mean for all those who are in digital marketing strategy? Below are some important points which one needs to know about the trust flow. After all these drastic changes in Google’s strategy few marketers came forward to declare that keywords are dead. But they announced it without ever realizing that it is now more important than ever to practice the good keywords usage. One has to be more careful about the words usage which are appropriate to the niche and audience. With page rank gone, the era of stuffing the page with keywords is also gone where developers try to stuff the page with as many keywords as possible in order to manipulate the site’s ranking in Google search. In case, you are new to keywords based search engine optimization strategy, the best for you to start is Google Adwords. It is one of a kind platform offered by Google which helps in determining the most optimized keywords which drives more quality traffic and bring leads. Combine this with some data capture solution and you will have data at your dispense which not only tells you about your prospects but also tells what drive them to your website. Creating and producing content regularly is on Google’s demand list but, what’s more important is that the content must be relevant and topical. By creating the content relevant to your market you are more likely to attract the relevant audience to your site and will be able to score among your other competitor. So, how does it work? It’s very simple by creating quality and relevant material more users will be attracted towards your site thereby increasing the trust flow. With this Google will place your material on top for other readers to find it for their reference. The best example in this regard would be Wikipedia and Discovery. With page rank Wikipedia would rank higher due to its crowd sourced content but on the basis of trust flow Discovery will rank higher because of the availability of niche information. So, it is important for marketers to create fresh and highly informative content. This can take some time but will build the solid foundation for the brand. With trust flow we also need to assign some kind of metric in order to quantify the success. Just like with the page rank, trust flow is also measured and therefore, it is important to track and analyze the trust flow score. There are add-ons available for Google chrome and Firefox. 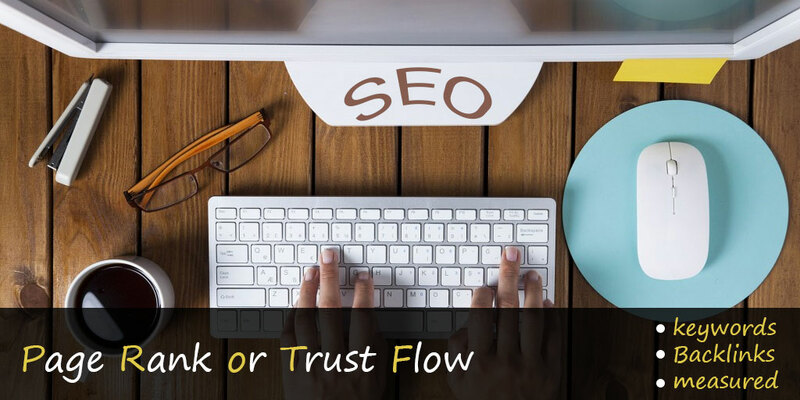 Trust flow is the new emerging leading driver in digital marketing which has completely replaced the page rank system of Google and it means presenting more niche information to the users has become important more than ever before. Why Ongoing Website Maintenance Drives Marketing Success?